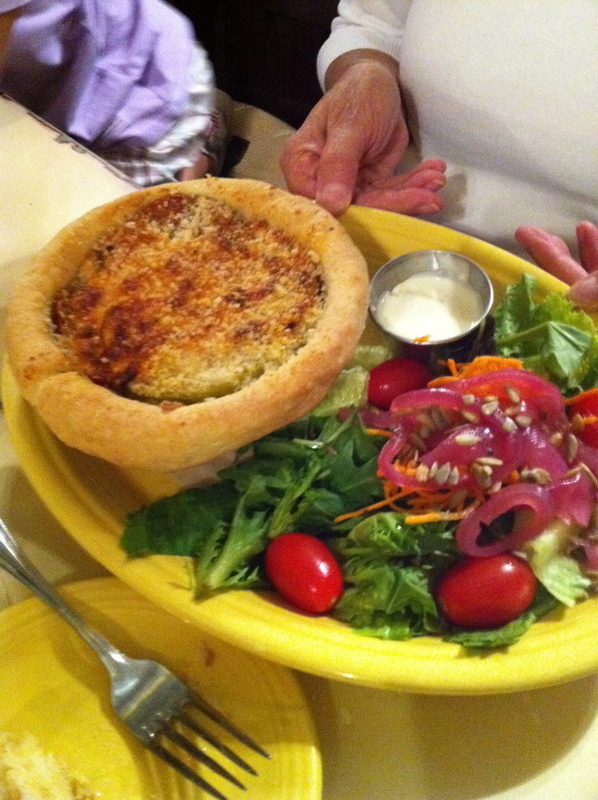 First let me say… there are SO MANY AMAZING restaurants in and around downtown Asheville, NC. 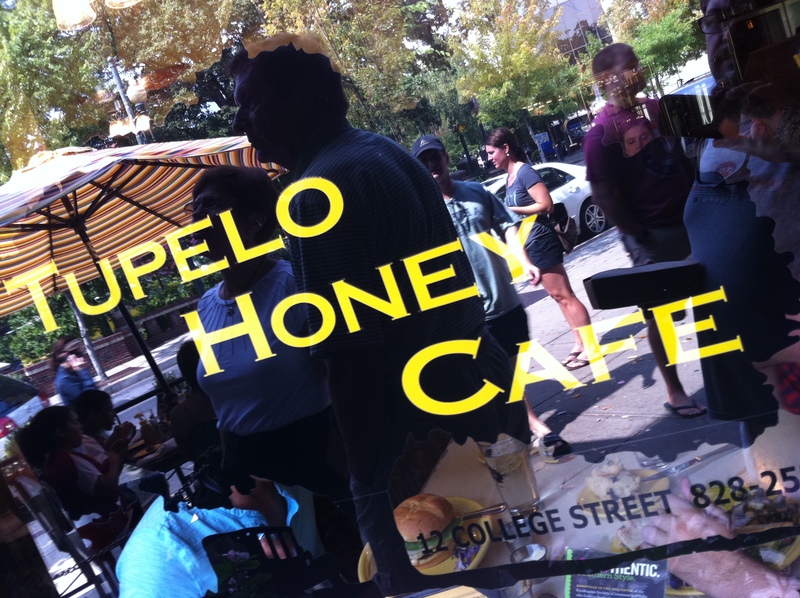 This is just the first of many that I will be checking out and sharing with you here… but it is a wonderful one to start with… The TUPELO HONEY CAFE. One word of warning. Do not come here to eat if you are in a hurry, because you will almost certainly have to wait a good long while for a table. That is because it is so good, everyone wants to eat here! But DO WAIT! It really is worth it! A special the day we came that is not normally on their menu, a tomato pie was so tasty! Veggie plates are always a fantastic choice here since so many choices are on the menu. 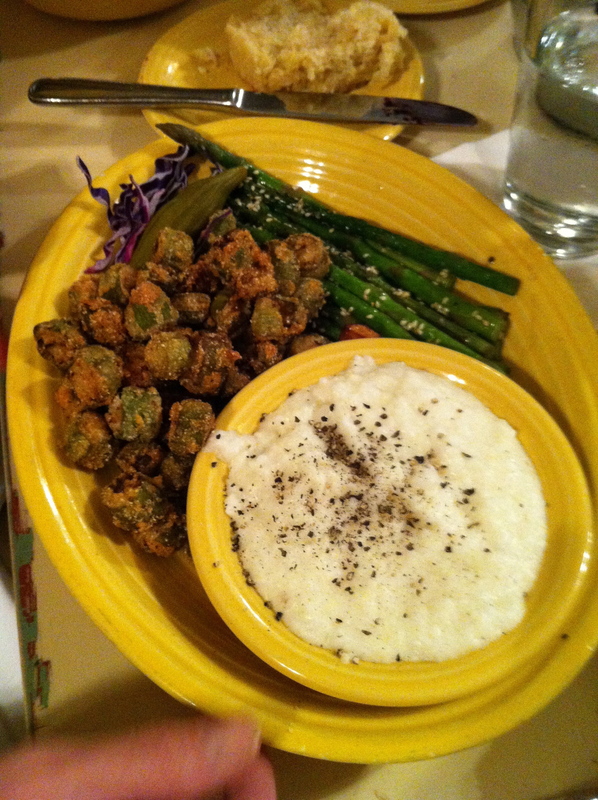 The grits are smooth and succulent, and a perfect compliment to the asparagus and okra. 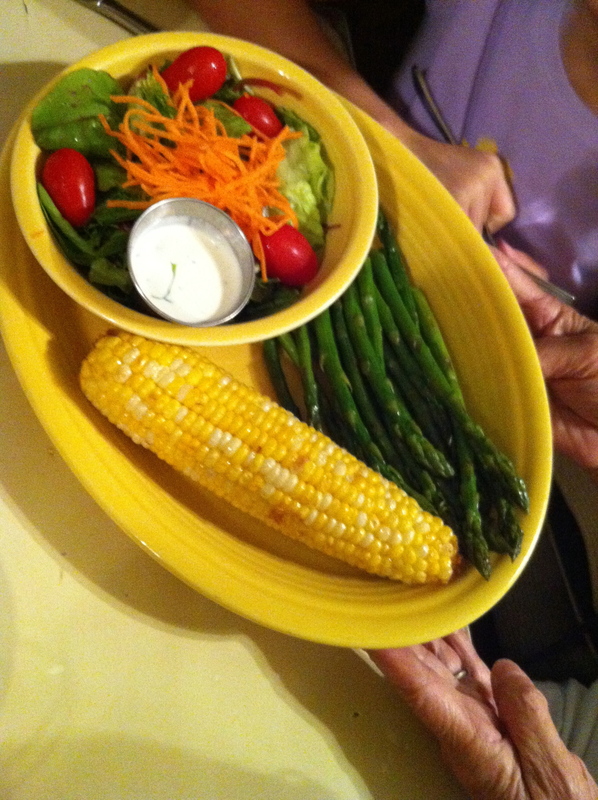 The corn was super sweet and green beans were too! I think the biggest surprise was my Shrimp and Grits. I have ordered it in many different restaurants around the Carolinas, but it us usually with brown gravy and sausage. 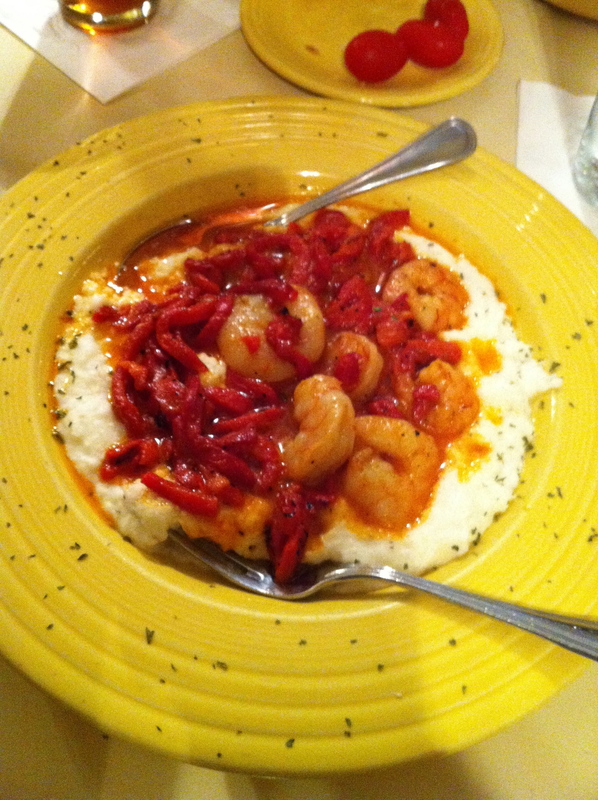 This is the chef’s signature dish, called Brian’s Shrimp and Grits » Seven large delectable shrimp served over goat cheese grits with a spicy roasted red pepper sauce. This entry was posted in picture, post, review and tagged Asheville, asparagus, cafe, carolina, dining, dinner, downtown, eat, eating, family, food, grits, Honey, lunch, North Carolina, okra, restaurant, seafood, shrimp, shrimp and grits, tomato pie, Tupelo, vegetables, veggie plate by Jeff Cruz. Bookmark the permalink.